profile - Citroen Societe South Australia Inc.
Citroen Societe South Australia Inc. was founded in South Australia's capital city, Adelaide, on 4 October 2013. and was incorporated on 9 October 2013. The Societe South Australia is actively dedicated to the preservation and restoration of Citroen motor vehicles of the Citroen marque and is committed to open governance in its Constitution, as recommended by the Government of South Australia. Citroen Societe SA members hold monthly meetings in Room 2, within the City of Burnside Civic Centre, 401 Greenhill Road, Burnside on the second Tuesday of every month, except January, at 8.00pm. At club meetings, members and guest speakers present illustrated talks on all aspects of Citroen motoring and history, and other topics of interest to Citroen Societe SA members and friends. Other activities include film screenings and technical discussions. The evenings conclude with a light supper. The Club Shop stocks a wide range of club and Citroen memorabilia and is available by appointment. 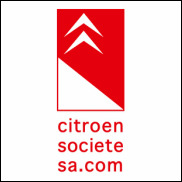 Citroen Societe SA is an active club, with a full calendar of social events publicised on the Facebook fan page. Events hosted by Citroen Societe SA include an annual BBQ in February to celebrate the birthday of Andre Citroen (b. 5 February 1898 - d. 3 July 1935) the founder of Automobiles Citroen, a Bastille Day dinner, a Christmas party, Club runs and technical afternoons. Citroen Societe SA associates with local motoring Clubs such as Club Automobile Francais South Australia Inc. and the Sporting Car Club of South Australia Inc. and participates in annual motoring events run by other organisations such as Vintage and Classic Day, All French Car Day and the Bay to Birdwood. 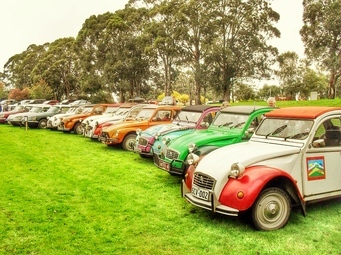 Each year, members of Citroen Societe SA attend the annual Australian National Easter Citroen Rally, or Cit-In, which is hosted, in rotation, by a State Citroen club. ​Citroen Societe South Australia Inc. is a member of the Federation of Histoic Motoring Clubs SA Inc., the peak organisation which administers the distribution of registered Log Books to recognised clubs under the Conditional Registration Scheme for Historic Vehicles, Prescribed Left Hand Drive Vehicles and Street Rod Vehicles. Citroen Societe SA is a recognised motoring club, and has two Authorised Persons responsible for issuing Log Books under the Conditional Registration Scheme, enabling vehicles if 30 or more years have elapsed since 1 January of the year in which the vehicle was manufactured to be registered for a reduced rate of registration fee. This service is utilised by Citroen Societe SA's members, and is one the Societe is happy to offer, in addition to technical support offered by knowledgeable members.